Head over to Homeschool Giveaways to snag the We Choose Virtues subscriber-only freebie bundle! 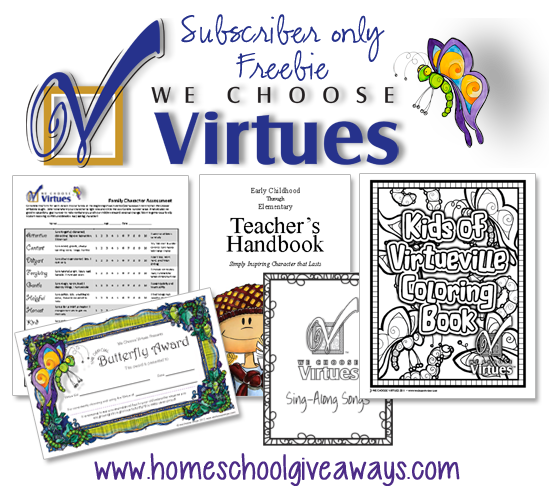 This offer is expires 11/15/13 @ 11:59 p.m.
CLICK HERE for the We Choose Virtues subscriber-only freebie bundle! Don’t forget –> more homeschool freebies!